As tourists, we all have a role to play. Sea Shepherd Conservation Society recently posted on Facebook about a whale hunt in Iceland. On June 21st, one of their ships was the only witness to an Icelandic ship, Hvalur 8, dragging the body of an endangered fin whale back to the shore. 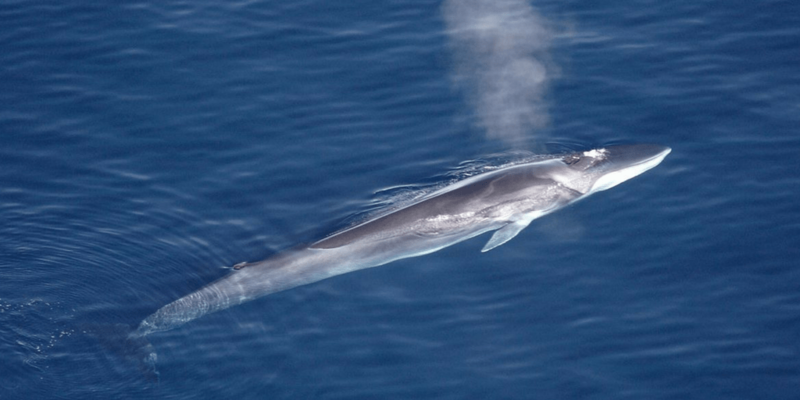 Unfortunately, Iceland is the only nation on the planet still killing fin whales. Why do some Icelanders persist on killing these majestic, beautiful, and threatened creatures? The commercial Iceland whaling industry is a long standing tradition, but it’s one that’s in decline. Back in 1986, nearly 100% of Icelanders supported whaling, but that number stands at about 34% nowadays. Many people who support whaling are poorly informed (ie. it is necessary to slaughter whales to control a fish population) or cling to historic traditions. The commercial whaling moratorium, established by the International Whaling Commission back in 1982 to begin in 1986, bans all commercial whale hunting. The moratorium continues today. Iceland signed up to the moratorium “under reservation”, meaning that they abide by certain rules while continuing to kill whales. Iceland hunts minke whales and fin whales. They are only permitted to hunt a certain amount of whales every year, as set out by the Ministry of Fisheries and Agriculture. For example, in 2015, the whalers were permitted to take 154 fin whales and 229 minke whales. Kristjàn Loftsson is the sole fin whaler in Iceland. He is responsible for killing over 35,000 whales. The Iceland whaling industry is not lucrative; in fact, the whale watching industry is booming while the whaling industry is in sharp decline. However, tourism is one factor that keeps this cruel practice alive. Contrary to popular belief, whale meat is not a traditional dish in Iceland. The amount of restaurants serving whale meat doubled between 2007 and 2012, due to a rise in tourism. 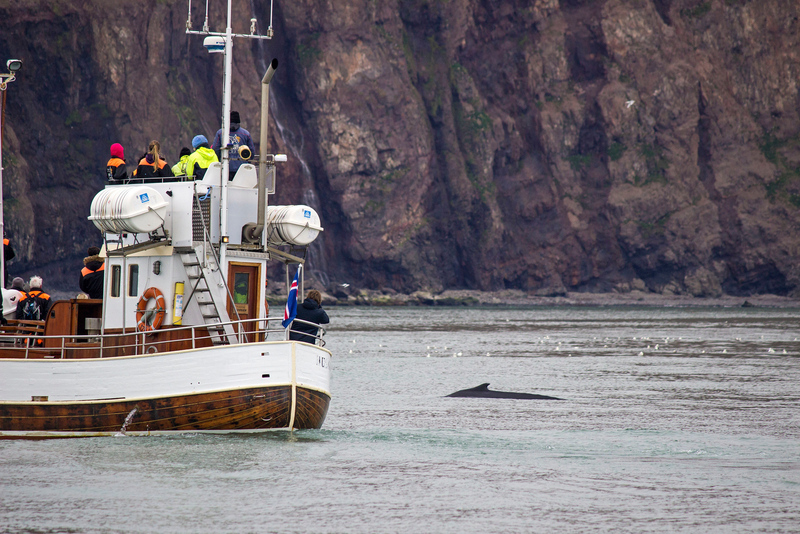 In 2009, 40% of tourists visiting Iceland tried whale meat. Thankfully, due to outreach programs, this number was reduced to 18% by 2014. However, this means that 36,000 tourists are still eating whale meat, and it needs to stop. The truth of the matter is that hardly any Icelanders consume whale meat. 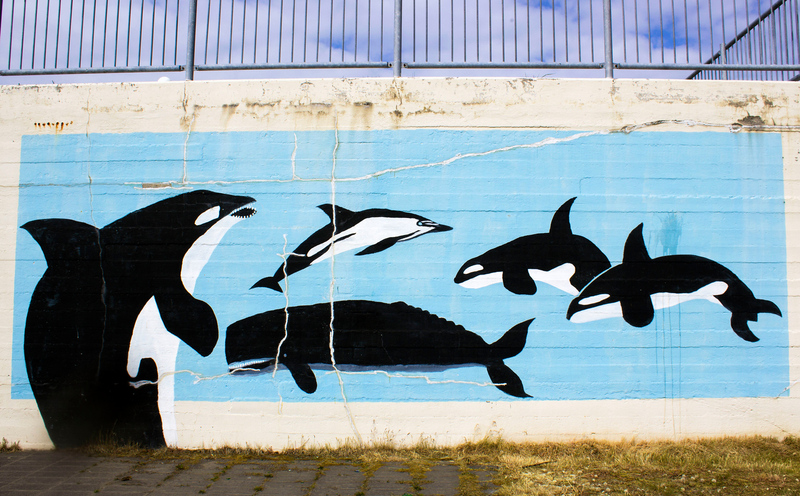 Many people of Iceland are progressive thinkers, and the opposition to whale hunting grows among the locals. They realize that whaling has a massive negative economic and environmental effect on their society. Well, I don’t think you should boycott travelling to Iceland. I went to Iceland for two weeks and it is one of the most beautiful places in the world. Iceland is a magical country filled with natural wonders, and you should experience it for yourself. The real issue is that tourists won’t stop eating whale meat. Some travellers will take a whale watching tour, and walk right into a restaurant for a meal made of whale right after the tour is over. How could there possibly be such a disconnect? I can’t say I’m terribly surprised. There’s a huge disconnect between loving certain species of animals and eating others. As someone who follows a vegan lifestyle, I don’t support killing or eating any animal. However, for many visitors to Iceland, eating whale in Iceland is a cheap, momentary thrill that actually supports a horrific industry. It isn’t a way to experience life as the locals do. It’s set up purely for tourists and it’s a tourist trap in the form of food. 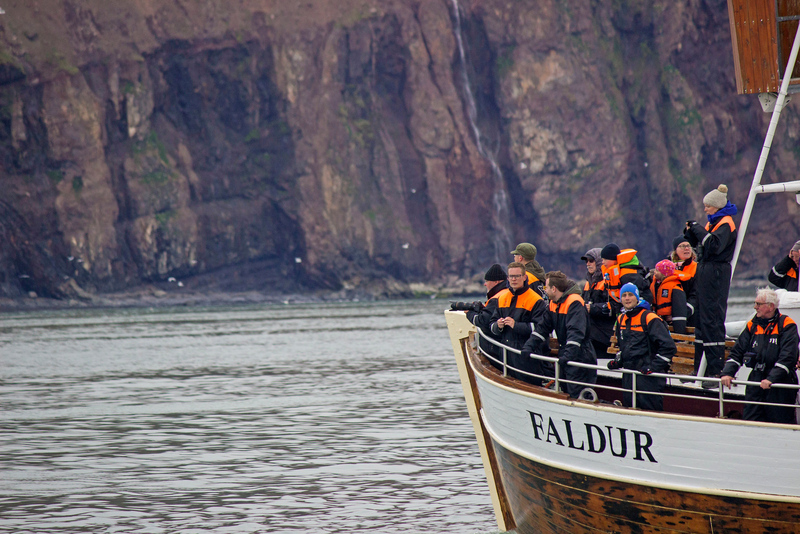 When I attended a whale watching tour in Husavik, the tour operators were quite vocal about stopping the whale hunt. They told everyone that tourists kept the whaling industry alive there. Not only should we stop eating these gentle giants, but we should boycott any restaurant that serves whale on its menu. I agree with them. If you see whale openly advertised or served on any menu, please do not dine at those restaurants. There are plenty of establishments in Iceland that do not serve whale meat. We can work together to make it unprofitable to serve meals made of whale. 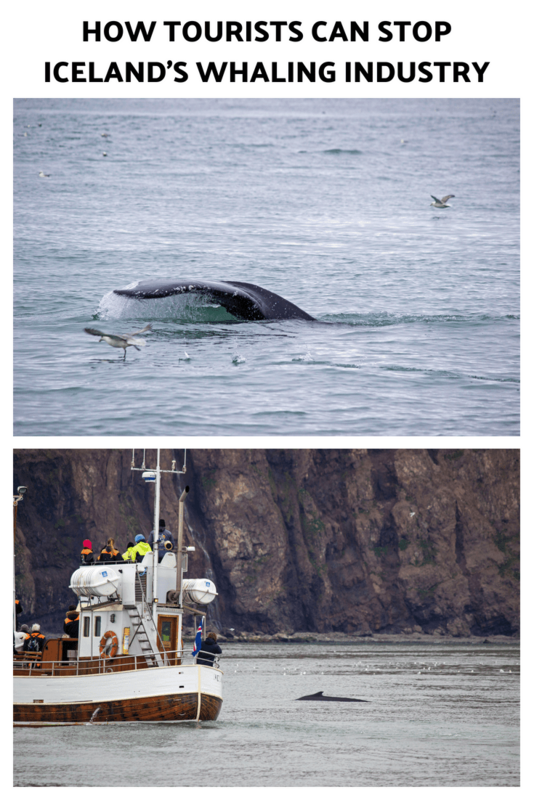 I highly recommend that you travel to Iceland and observe whales in their natural habitat. The tourism industry is booming in Iceland. Could you imagine if we all decided to stop travelling to Iceland? Yes, it would hurt their economy in a big way. But, it would punish those who are providing whale watching tours and responsible wildlife viewing tours, too. Overall, it wouldn’t discourage the very small percentage of those who participate in the whaling industry. Without tourism, it’s possible that citizens could be encouraged to return to their historic roots in whaling. Do not eat whale meat. It is not a traditional dish. Eating whale meat is selfish and means that whales will continue to be killed in the name of tourism. Boycott all restaurants that serve whale meat. I recommend that you dine at one of the many vegetarian and vegan restaurants in Iceland, as they are the most environmentally-friendly and don’t involve killing anything. Take a whale watching tour. It’s an amazing experience to witness whales in the wild. 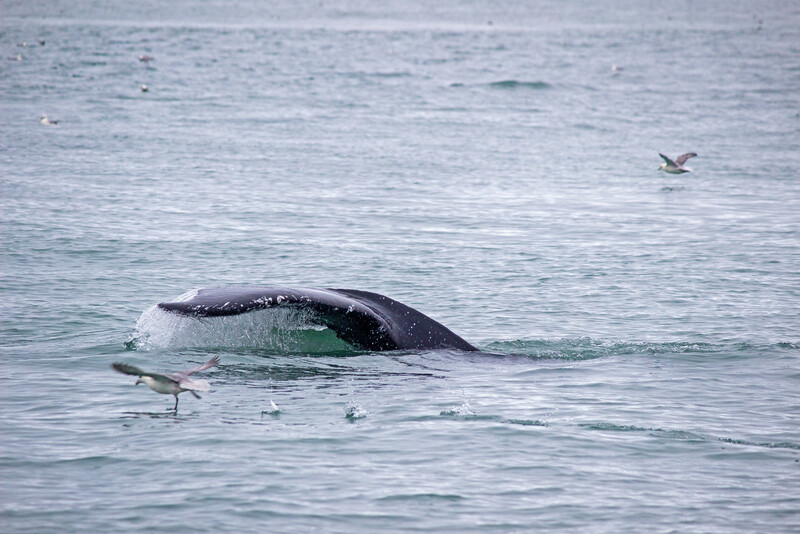 To learn more about whales in Iceland, visit the Husavik Whale Museum. Please share this article or this information with anyone you know who is thinking about travelling to Iceland. We can make a difference! Awesome post. Very interesting, so sad that whale hunting still exists. Encouraging to know it’s on the decline though, we will definitely remember this if we ever visit Iceland. It’s definitely on a sharp decline. But, people are still eating whale meat. It’s startling too because it’s known to be very high in mercury and definitely isn’t healthy in any way. However, people sometimes think of these “strange foods” as a right of passage when you travel somewhere. In this case, it isn’t a traditional food and there’s really no reason to partake in eating it, unless you want to support these cruel behaviours. Thanks so much for raising awareness about this, Lauren! I didn’t realize tourists ate whale meat in Iceland. I wasn’t vegan back when I visited Iceland, but even back then I would have been horrified at the thought of eating whale, or puffin. Now I’m horrified at the thought of eating any animal. I am horrified and appalled by this recent announcement: https://www.voanews.com/a/iceland-whaling/4801718.html. As a result, my recent (and only) visit to Iceland will be my last, and I will advocate for other tourists to boycott Iceland until whaling ceases entirely. I advocate the same for Japan and other whaling nations. The era of human exploitation of whales for any reason whatsoever is OVER. this from happening. As soon as it stops i will book my trip.